Graded VG 40 by SGC. Extremely attractive example featuring a striking portrait of Peaches Graham from the E90-1 American Caramel series. Graham has always been recognized as one of the rarest cards in the E90-1 set, and in the old days was thought of as being as rare as Mitchell, Cinn. 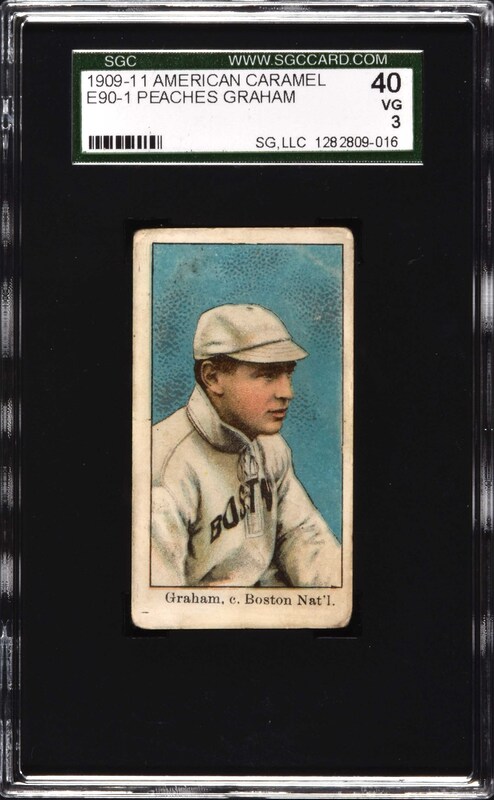 Mitchell may have gotten more press and is now more famous and valuable, but in our experience Graham and several other key cards in the set (including Walsh) are just as rare. Bright and clean, both front and back, with a striking blue background, no caramel stains, evenly rounded corners, and centered to the right. The reverse is also clean with bold black print. 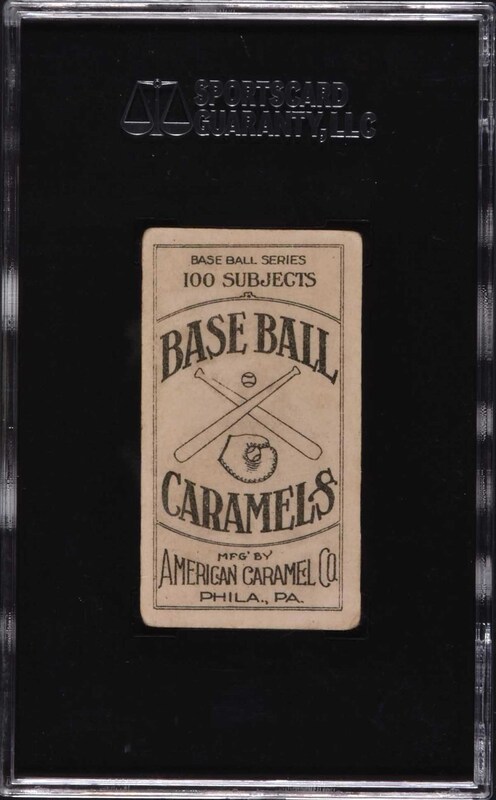 This is a very strong example of this key rarity from the most popular caramel-card set of the era. Reserve $200. Estimate (open).